So ends Nizami's poetic narrative of the story of Layla and Majnun, but to really appreciate and understand this work, it needs to be read, and savored, in full. Is their story a medieval soap opera of epic proportions? It is, if that's what your heart hears. Is it a cautionary tale inculcating acceptance of earthly injustice and suffering in the Islamic faithful, who will be rewarded in the great by-and-by? It will surely serve, if that's your concern. 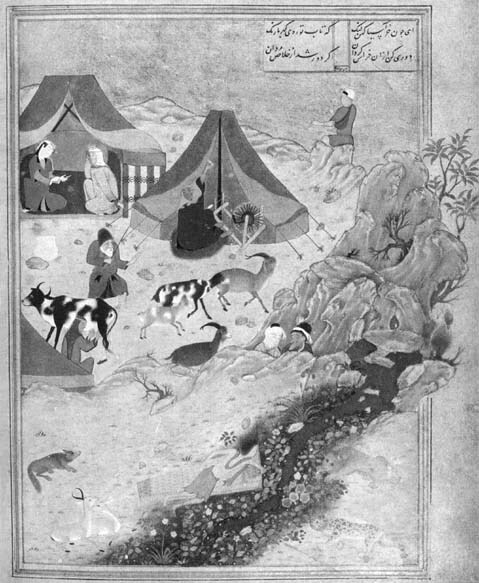 Is Majnun "Man" and Layla "Soul," suffering because denied union while bounded by flesh? Yes, if your concern, your love, leads you to hear it that way. Is it an allegorical Sufi text, instructing seekers in practical means for awakening to the supernal reality of their true, spiritual nature? Only our hearts know for sure -- Nizami bids us follow them.